Australian small businesses provide employment for around 4.8 million people. 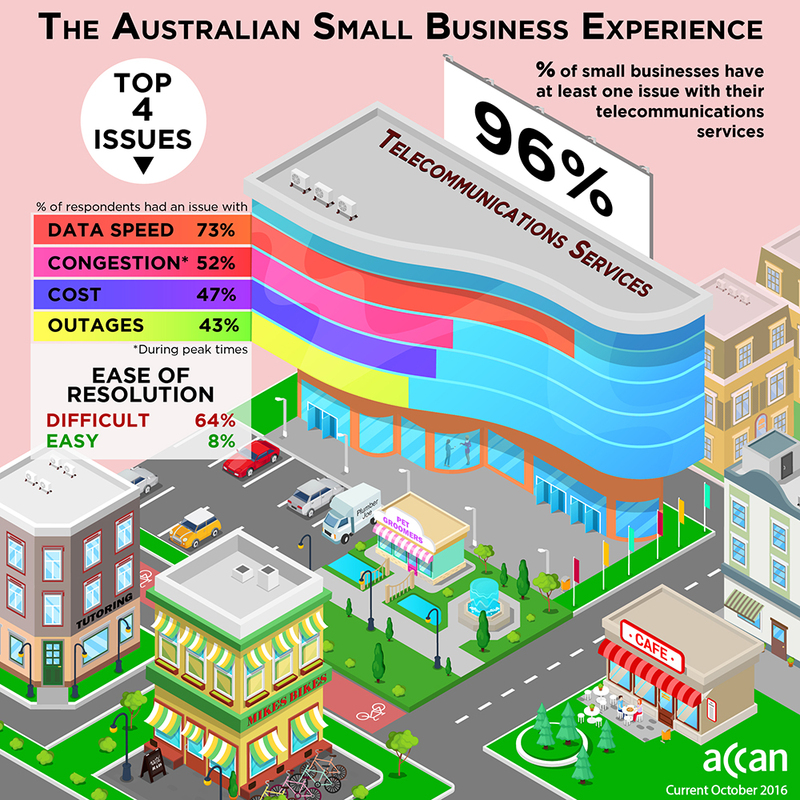 As most small businesses rely on telecommunications services to be able to do business, it is essential these services be available, reliable and affordable. When a small business cannot access a broadband connection or make phone calls, business proceses can become difficult. When a small business operator waits in a call centre queue or is transferred between different customer service representatives trying to have a fault resolved, they are not only losing time, but money. This impact on productivity and turnover affects not only the small business owner, but its employees and customers. Be aware of the important features of telecommunications services and products to help them to choose products that best suit their business needs.